Baruna officially starts building its new vessel in China. 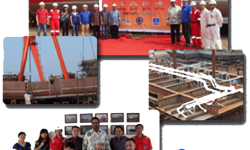 Keel laying ceremony has taken place in China on September 4,2015 for Baruna's new built Vessel . Attended by dignitaries of Ship building company and Baruna's management. Conducted by Chevron, this May of 2015, Baruna Raya has garnered a CHESM (Contractor Health, Environment and Safety Management) Rating A. 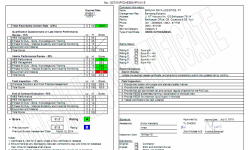 This is Certificate is a prerequisite for procurement of services with Chevron companies in Indonesia. Time and time again, Baruna has shown its commitment to mantaining high standards in terms of Health, Safety and environmental awareness. PT. 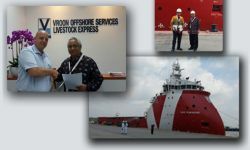 Baruna Raya Logistics representative President Director Mr.Bambang Ediyanto and Vroon Offshore Pte Ltd Representative Managing Director Mr. Filip Olde Bijvank signed a Memorandum of Agreement in Singapore on August 18, 2015. PT. Baruna Raya Logistcs joins the 39th Indonesian Petroleum Association Convention and Exhibition last May 20-22,2015 held in Jakarta Convention Center , Senayan. Baruna, together with other companies related to oil and gas exhibited their designated products and services in Jakarta's Convention Center . During the three day event we displayed three replicas of our newest vessels that were eye catchers during the 39th IPA CONVEX and we were glad to have accommodate people with inquiries who visited our booth. The company looks forward to join in successful events like this in the future as we strive for limitless awareness in the industry. 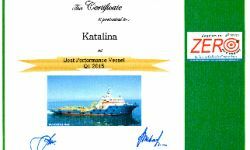 Since the delivery of Supply Vessel Katalina in 2009 ,under the supervision of our professional crews the vessel has been exceeding expectations in terms of performance and fuel efficiency.